When we moved to this house, we purchased a new moisture-sensing dryer. We were told that fabric softener sheets were a big No-No because they can frizz out the sensors. So I started using liquid softener in my washer. Then I was reading how the average American family spends $80-100/year on softener! Dang. 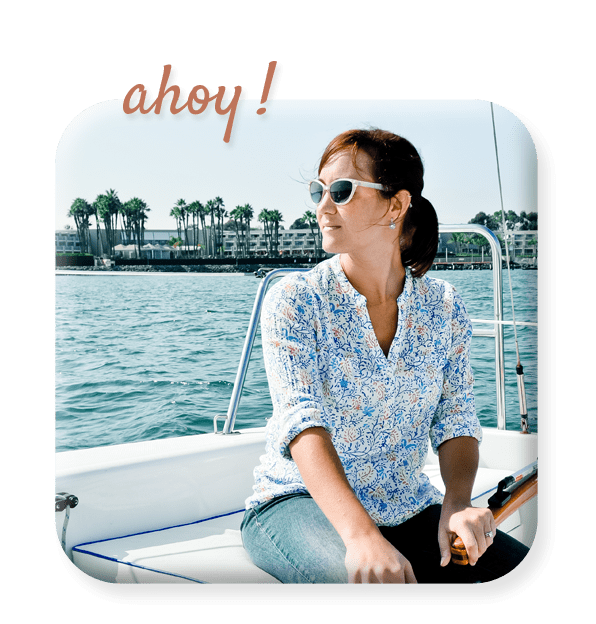 Now, I’m not what you would call “granola.” My kids eat blue box mac n’ cheese, I rarely buy organic produce, and I’ve never attempted cloth diapering (cheers to those of you who do! ), but I am always down for saving money. 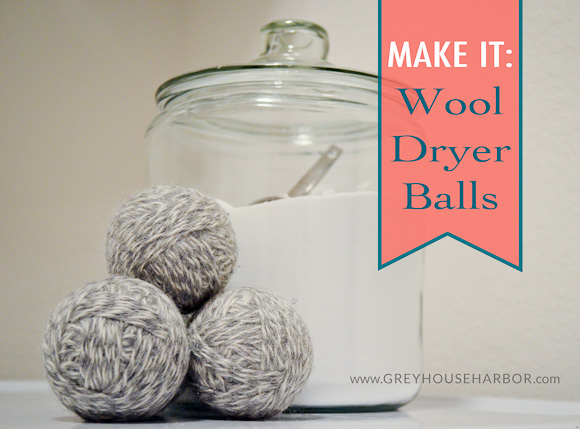 So when I saw these wool dryer balls on One Good Thing, I thought I’d give them a whirl. They eliminate the need for fabric softeners, cut drying time by 20-50%, and gently fluff your clothes. 1. 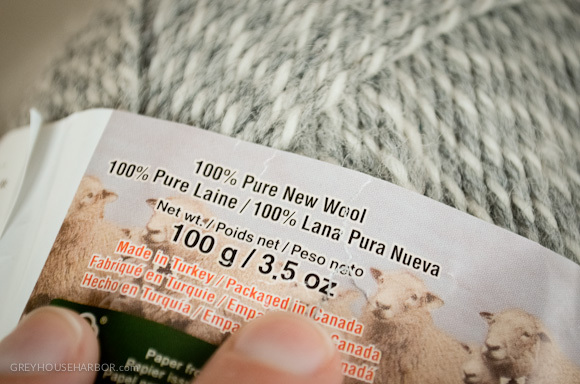 Purchase two skeins of 100% wool yarn. It must be 100% wool or it won’t properly felt. 2. 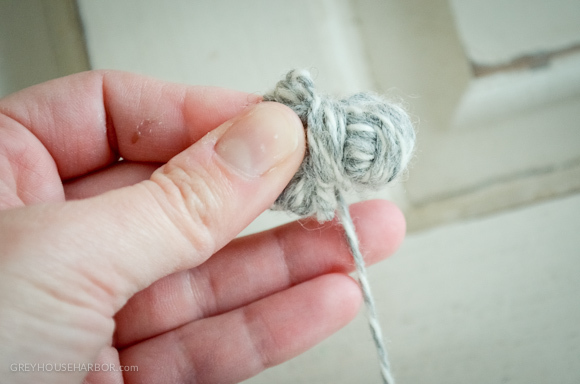 Start by wrapping one end around your fingers about 20 times. 3. Then turn the bunch sideways to wrap another 20 times around the center. 3. 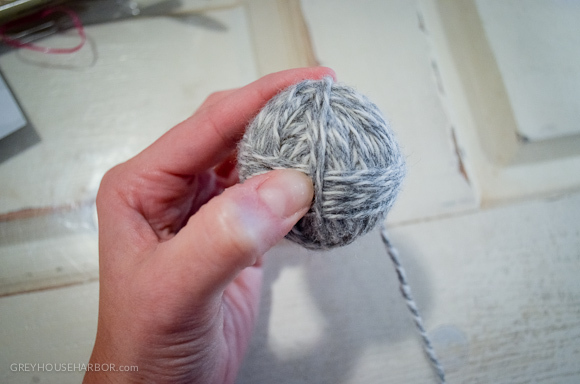 Fold the two sides of the “bow” together and continue wrapping the yarn tightly around to create a sphere. 4. 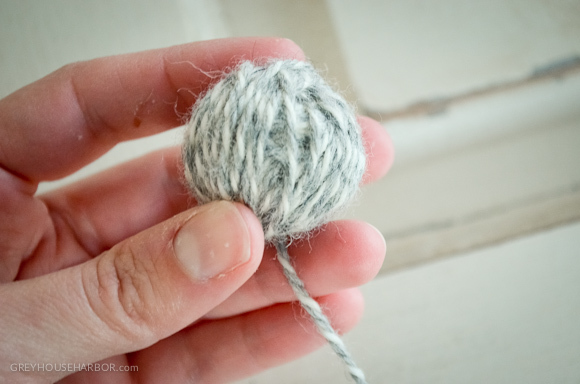 Wrap one direction and then grip the yarn with your thumb to turn and wrap it 90º the other way. 5. 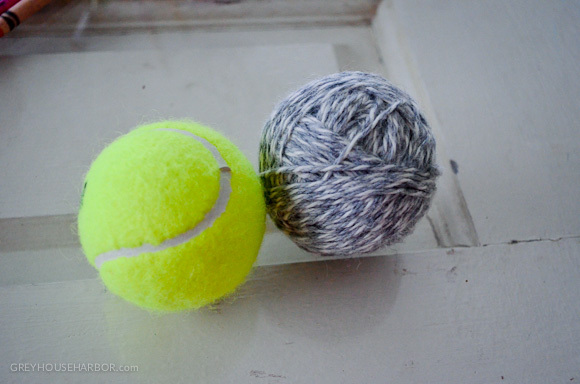 When the ball is the size of a tennis ball, cut the yarn and tuck the end under several threads to secure. 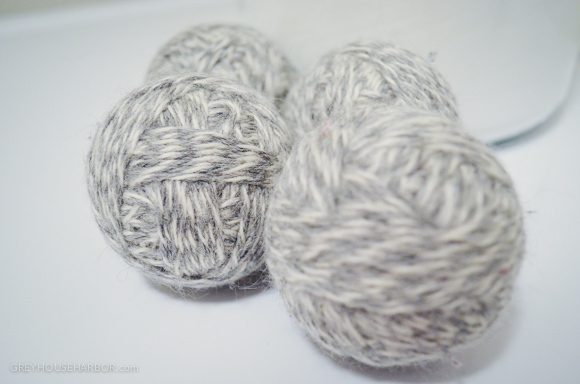 One skein will make about 2 balls. 6. Once you’ve made 4 balls, you’re ready to “felt” them. 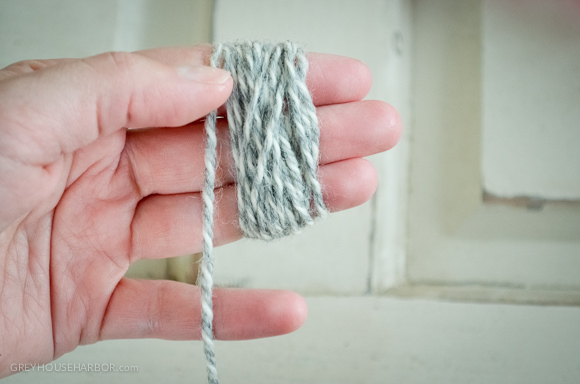 This process will make the threads adhere together and prevent them from unraveling. Take a pair of pantyhose and place the first ball in the toe. 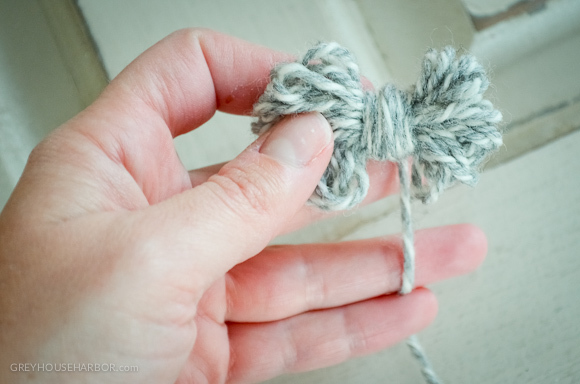 Pull the pantyhose tight and secure with a plastic ponytail holder or piece of acrylic yarn. 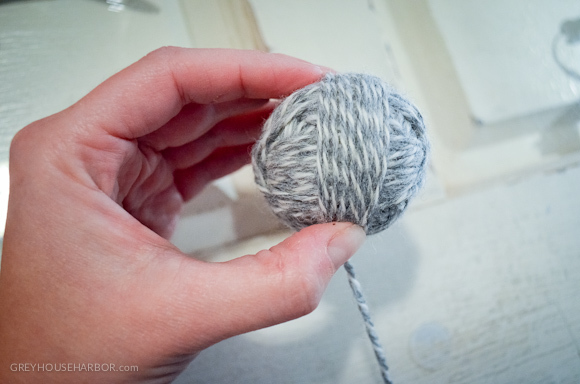 Do NOT use the wool yarn because it will felt onto the pantyhose. Continue putting the remaining balls in the same leg and secure in the same way. 7. Toss the pantyhose snake into the washer with towels or other items that can be run on a HOT cycle. The hotter the better. 8. Run them through the hottest dry cycle still in the pantyhose. 9. Now they are properly felted and can be taken for a spin! 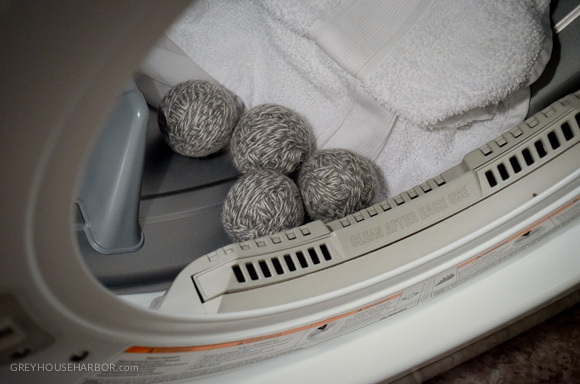 The balls help to evenly circulate the warm air around damp laundry and the wool fibers rub against your clothing to naturally soften them without chemicals. 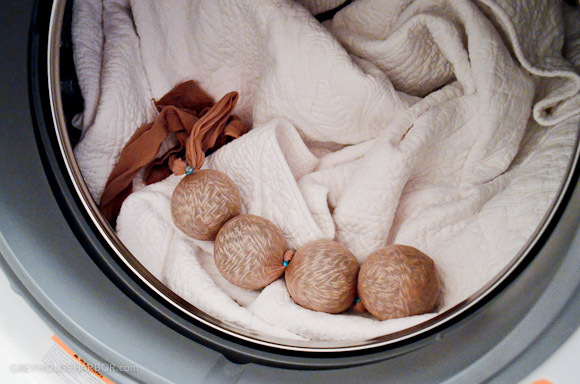 You can even put a couple drops of essential oil on each ball for some smell-good action. 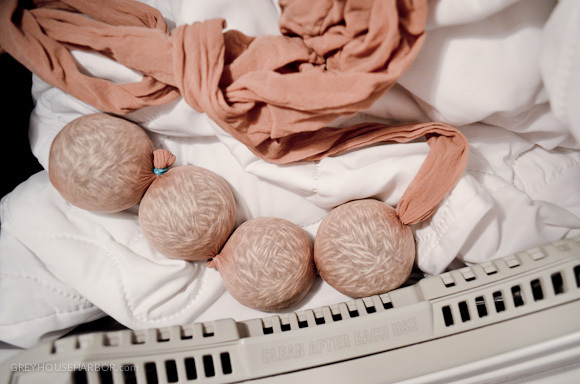 I recently washed our bed pillows and the kneading action of these balls in the dryer were perfect for re-fluffing them. Best part? They last 7+ years! Click HERE for a natural way to fight static, too!